A new Star Wars movie is soon to hit theaters. That means new ships. They've always been one of my favorite aspects of the universe. What can I say? I'm a starfighter junkie. And feeding my addiction is Fantasy Flight Games. They're showing off a couple new ships they will be bringing to the battlestarfields of X-Wing. This December, The Last Jedi will explode onto movie screens everywhere, delivering a new chapter in the epic Star Wars saga. As the First Order and Resistance continue their battle for the fate of the galaxy, we’ll follow the struggles of such familiar characters as Rey, Finn, Poe, Luke, Leia, and Kylo Ren. At the same time, we’ll also meet new characters and discover new vehicles and starships. We’ll learn what role the B/SF-17 heavy bomber plays in the Resistance’s war effort, and we’ll find Kylo Ren behind the controls of his sleek and menacing TIE silencer. 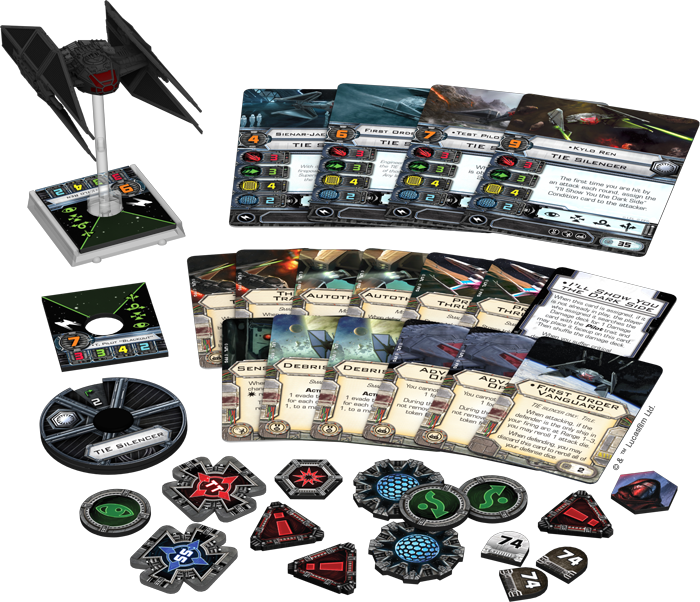 Then, shortly after you see the movie, you’ll be able to field these ships—and a new version of Kylo Ren—in your games of X-Wing™. 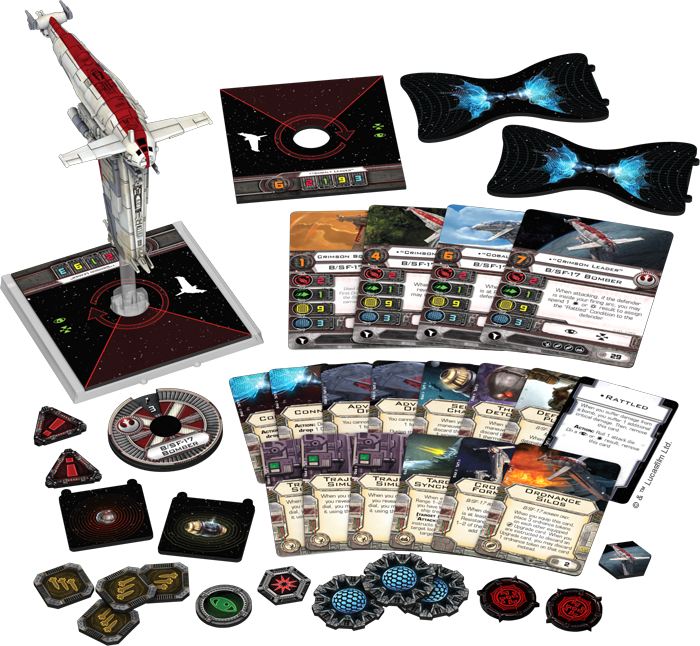 Fantasy Flight Games is proud to announce that the Resistance Bomber Expansion Pack and TIE Silencer Expansion Pack are scheduled for release as X-Wing Wave XIII!